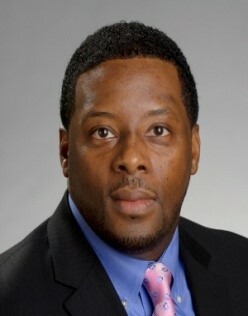 Curtis E. Highsmith, Jr. is a 1990 graduate of Riverhead High School, but was raised within the Town of Southampton from birth. While attending Riverhead High, he worked summers at Brookhaven National Laboratory, in Contracts and Procurements, where he learned to negotiate the payment of outstanding unpaid vouchers. Curtis attended Bryant College, (Smithfield RI); currently know as Bryant University, where he majored in finance and communications. During the summer of his freshman year, he interned with the Town of Riverhead, in the Assessor’s office. After a year of summer interning, Curtis was appointed Assessor’s Assistant, and for the next three summers, began working closely with the Town Assessors. Following Bryant College, Curtis began working for Evergreen International Trading, located in Manhattan’s World Trade 2, and Ross Investment Group, where he received his Series 7, 3 & 63. Curtis converted to retail banking in 2003, and was employed by North Fork Bank as a loan consultant. Curtis was recruited in 2005 by New Century Financial to run their Melville operations. In 2007, New Century became a casualty of the collapse of the financial and mortgage market and closed its doors. Curtis was hired by HSBC Bank in 2008 as a Sr. Premier Mortgage Manager. Since 2005, Curtis Highsmith has served as the Chairman of the Architectural Review Board for the Village of Southampton. Curtis is a member of Rotary International, and has been a key note speaker for CAP “Just Say No To Drugs” campaign. Prior to accepting the position of Executive Director for TSHA in 2014, Mr. Highsmith was a TSHA board commissioner for one and a half years.